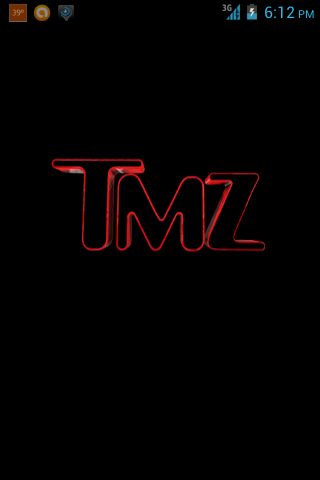 TMZ. Everyone knows that they are the lowest form of reporting. All they care about is pointless stories about celebrities that are way too personal. Heck, even the Nostalgia Critic took time in the middle of one of his reviews to rant about TMZ. I think we can all agree here that we all hate TMZ and wouldn’t be bothered if it was announced in the morning that they were shutting down. The world would cheer in unison. However. . . . . .
. . . . . . . . . . . .in the midst of the pure garbage that the site produces, you do on occasion find info only they have, or that they reported on first. I run a Facebook page for general fandom news, and when Phillip Seymour Hoffman passed away, I found out almost immediately and went to post a link about it on the page (he was in The Hunger Games: Catching Fire, so it counted as fandom news), and at that time the only site with anything at all about him passing was TMZ. The first link was them simply saying he passed away of unknown causes in his Manhattan apartment. The second link was an interview he did about Hunger Games for some British site (I think). TMZ had the news story about a major celebrity’s death before anyone else did. And they didn’t sensationalize it. They merely announced his passing. Of course, they later posted a follow-up about the needle in his arm, but the point is that they reported it first. Earlier tonight, I was wondering why I haven’t heard anything from Weird Al since 2011, and I went looking for news on if he has a new album coming out. 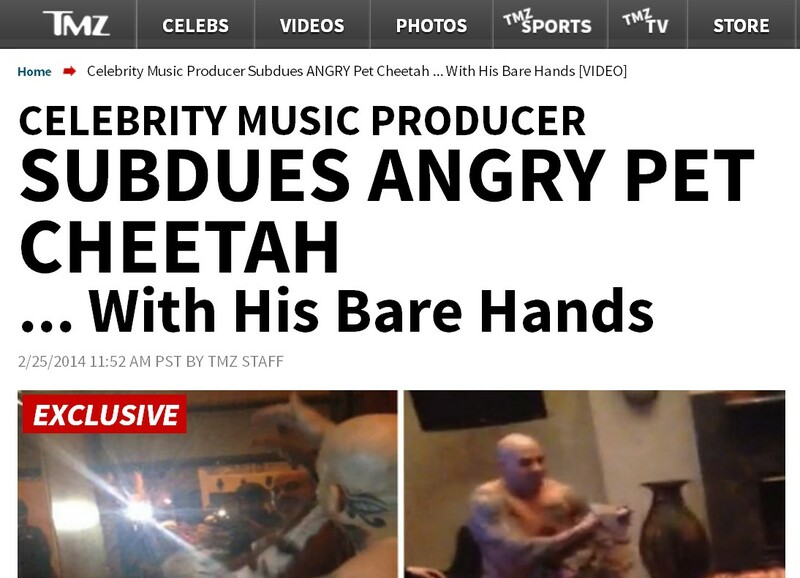 The only site with anything about it was TMZ. I still find them to be a pointless “news” site, but their form of “reporting” on occasion can be a good thing in disguise. If they used their methods on things other than trivial celebrity “stories” and focused on the real news (such as reporting celebrity deaths before anyone else or being the only place to find out if a musician is recording an album), then people would look at them at a real news site and not just an online tabloid. ….yeah, they could at least try to make themselves look better. And lastly, I just had to throw this in… The title of this just sounds awesome. . .
There’s a video I watch every Valentine’s Day. It perfectly shows how I feel about the day. You can watch the video here. Before I begin, I just want to share my online history, for context. In 2001, I went online for the first time ever. I was never allowed to even touch the family c0mputer until that day. My family had to go out of town for some reason (don’t remember what), but I was sick that day so my parents let me stay behind. My stepfather logged into the computer and said, “Have fun”. It was a shock and I approached the computer with disbelief, expecting my stepfather to switch it off and say, “PSYCH!”. But he didn’t. Almost as soon as my family left, something popped up. I didn’t know what it was, but it said “Yahoo! Messenger”. It was a message from someone for my sister. Apparently the computer automatically logged her in. I talked to my sister’s friend on YIM and she became the very first person I ever talked to online. I didn’t get online again until 2003, when I joined a class in high school called “Webmastery”. The teacher said, “Open Internet Explorer and go to Google”. Within a few seconds, every computer was on Google’s homepage except mine. I didn’t know what Internet Explorer was, much less what this Google thing was. She asked me why I had yet to do as I was asked, and I told her I didn’t know how. Everyone in the room laughed. It was like in Bridge to Terabithia when Leslie Berke says she didn’t have a TV at home. At the end of the year, that teacher gave me a “Student of the Year” plaque. I tend to be a fast learner when it comes to computers. Anyway, still in 2003. Part of the criteria for the class was you were required to have an email address. Once again, I was laughed at for not knowing what that was. I remembered Yahoo! Messenger, so went to Yahoo!’s website and created my first ever email address (out of thousands I’ve made. I don’t know if I’m exaggerating…). After class that day I went to all my friends and said, “I HAVE AN EMAIL ADDRESS! !”, to which they all said, “Uh, yeah? Who doesn’t?”. A few months later, in 2004, a friend introduced me to a site called MySpace. I joined it and really liked it at the time. I loved customizing my layouts and making it as unique as possible. I would change it every week or two. I also liked how you could change your MySpace name to anything you wanted. There was a character limit, and my favourite MySpace name I ever used took up every character. I had a picture of Samara climbing out of the TV and my name was “I’m Only Climbing Out Of The TV To Say Hi!”. My layout that week was, of course, The Ring. It looked SO cool, and was tons of fun to make. Sometime in 2005, I tried joining a site called Friendster, but, like, five people told me that that’s an “uncool” site. Everyone already did that before MySpace, so no one uses it now. It’s just a shell of a site with spambots being most of the accounts. The two days I had my account there I received several messages, and all of them were “Hey, baby, email me a picture of yourself”. Even back then I knew that was a fake. But the point is, MySpace was the site everyone was at. It’s 2007 and I’m wandering why no one messages me on MySpace anymore. Someone, that person I first talked to my first time online….yes, we stayed friends to this day…tells me everyone has moved to a site called Facebook. I’m reluctant to move because MySpace is forever. They just revealed Profile 3.0, and I had a whole new typeto try out. But, of course, I gave in on 20 September 2007. So even though Facebook didn’t let you change layouts, use any name but your real name, and *gasp* NO MUSIC? !… I still joined it. At first it was just a side account. I still considered MySpace my online home. But by 2009, I started using Facebook more and more until, in 2011 (yes, that long), I stopped signing into MySpace. Now onto that video. In case you didn’t watch it and don’t feel like scrolling up, here it is again. For starters, Clive Thompson says that Facebook will never be as big as it was last year, saying it’s not fun and fresh, and that the young people are using SnapChat and Whatsapp “and what not” (I had to laugh when he said that). Well, this assumes that only teenagers use the internet. That if all the young people left Facebook and moved to G+ or Diaspora that Facebook will cease to exist. It’s possible for a site to stay the same and yet keep it’s members. I don’t stay on Facebook because I want to see what features they’ll add next. I stay on Facebook because it’s quite literally an online home. I’ve had my account for nearly seven years, and I have seven years of memories on the site. Statuses from when important things happened, pictures from forever ago that I don’t have anywhere else. I have messages in my inbox from friends who passed away years ago. There are memories on that site that can’t compere with any feature they add. It also doesn’t hurt that they DO expand the site constantly. I was excited when they added Graph Search to the site. When they added Timeline profiles. When they let you connect pretty much everything to your Timeline. I am a huge music fan and I am always listening to music. Right now I am listening to Johnny Mercer on Spotify. I love how when I listen to music everyone sees it. It lets me advert music I love. Several friends of mine have told me they’ve found music they never would have otherwise had they not seen it on my Timeline. I found Zedd the same way. Which leads me to something else Clive said. He mentions “weak links”, which are basically people you don’t know very well and don’t associate with often, and “strong links”, which are your “BFFs” and family and people who know you very well and you know them. There are a bunch of people I know who want to have people in their life who is just like them. Anyone who is different from them or has differing opinions about anything are considered “boring” or a “threat”. Well, I think I would rather be surrounded by people that are totally different than people who are all the same. Pretty much all the music, books, movies, etc I like are because someone different from me suggested it. I never would have even considered giving Desperate Housewives a chance, but someone close to me suggested it so I tried it, and it’s actually one of the best shows I have ever seen. The reason I told my story at the beginning of this was to point out how different things are today as opposed to before. Before, MySpace was IT. Everyone was on MySpace. Friendster was a thing of the past. Then when MySpace burned out, everyone flocked over to Facebook. But Facebook never burned out. People spread their online roots into Facebook, and suddenly it was okay to branch out. Want to join G+? Join G+. Want to join Diaspora? By all means, join Diaspora. Twitter? You’d be crazy not to join, Tumblr? Instagram? Whatsapp? Flickr? OKCupid? Heck, join them all if you want! Heck, even MySpace is back. Of course, it’s nowhere close to what it used to be, but once it stopped trying to compete with Facebook and rebranded itself as a music site instead of a social network, MySpace found itself back on the map. You could upgrade your old account to the new MySpace, so the account I have now is the same one I created in 2005. Next year will be ten years I’ve had it, and I use it again now. Is Facebook relevant? Of course it is. So are most of the site I listed up there. They might not be a big as Facebook, and maybe someday neither will Facebook, but that doesn’t mean we need to look for the “next big thing”. Sure, Facebook has countless bugs and issues and they constantly change the site and we all groan about it, but we always get used to the change, because most of the time it’s for the better. Timeline is much better than the old profiles. Combining the chat and inbox was pure genius. Facebook is now my online home. Not because of layouts or name changes or a fun feature they added. But because Facebook has become a central hub of my online life. Everything comes back to Facebook. When I post this, it’s going to automatically post to Facebook, and that Facebook post will auto-post to Twitter, and that Tweet will auto-post to Tumbr. I’m much more tech-savvy than I was in 2001, but this fact alone still amuses me. I used to be a fan of The Simpsons. The show used to be a hilarious show. When the movie came out in 2007, I assumed, as did some of my friends, that that would be the end of the show. Not because we wanted it to end, but because we wanted it to end on a high note. Go out with a bang with the movie. But that….that was not to be. The show is still on seven years later. Normally this would be a good thing, but the show has stopped being funny. It’s not even interesting to entertaining anymore. I took it off my Hulu watch list back in 2012 because for the last few seasons before then, I’d watch each episode and think, “Let’s get this over with” before clicking it. I think out of two seasons prior to 2012 I laughed maybe three times total. Compare that to Family Guy. True, they haven’t been on as long, but they are still getting better and funnier with each season. They are willing to try new things to keep the show fresh (such as the recent “Life of Brian – Christmas Guy” storyline. THAT was a huge risk and they took it and it worked out)”. The closest The Simpsons have come to anything close to that was then they had the fans vote for whether or not Ned Flanders and Edna Krabappel will get together. But even that was done poorly. We had to wait for the next season to find out, and by the time that came about, no one cared anymore. For year I’ve heard or read people saying that Fox needs to cancel the show. I think this is wrong. If it was any other show, then I’d say cancel the crap out of it. But this was a once great show. It’s currently on it’s 25th season. This would be a great time to end it. But it’s been renewed for a 26th season, so it’s going to keep going. Anyway, my point is that it’s been going so long, and it was once such an important show, that it’d be wrong to just pull the plug on it out of nowhere. The Simpsons deserve a proper sendoff. A final season or even a finale. Futurama was made by pretty much the same people, and they knew when to end that show. Heck, they could even continue The Simpsons in movies. At least that way they could spend a year or two writing good material instead of having to crank out 20+ episodes a year. One thing is certain, the show has definitely dried up. Maybe the “continuing as movies” idea would be best for this series. Oh, look. I’m starting a second series within my blog. Well, I did say I hoped to do more with it that I couldn’t do on Blogger. Well, technically I could have done whatever I wanted when this blog was on Blogger. But it just felt wrong, like that one had taken a life of it’s own and I couldn’t change anything about it or it would die. At least here at the new location on WordPress it’s a fresh start and I feel I really can do what I want with the blog. And that leads me to this new series. As the title probably tipped you off to, this will be me discussing things that are on my mind. Or my thoughts on a subject. With Casabloga, I want to post one after the other, but I feel I should space them out a bit. I have a growing list of movies I plan to do in the future, and the list gets longer each day, as I remember more movies. I have a draft post where I update when I think of another one. But my point is that I don’t want to post ten a day, even though I may want to. And THAT leads me (for real this time) into the new series. With this one, I’ll be able to post when something comes to mind, instead of making a list and getting to it every other day or so. With this series, I might post once a day, or ten times a day, or once a week. Just when ever a topic comes to mind that I feel I want to talk about. I already know what the first one will be, and I will be doing that one once I post this. Oh, what the heck, I’ll just post this now and start working on the first one of these. . .